Here you will find publications relating to Addi Road and reports published by us relating to the work we do and the community here in the Inner West. For annual reports, governance documentation and other administrative material please see the Governance page. Soon after it opened in 1976, then-Immigration Minister AI Grassby called the Addison Road Community Centre in Marrickville ‘one small world in Australia’. He was describing a remarkable multicultural experiment. A handful of determined migrant groups banded together and worked with artists, environmentalists, activists and social workers to create their own community centre. They made a place for festivals and performances, for sharing culture and language and for helping others; a creative refuge in an English-dominated world. This is a place that has seen many transformations. Once boggy land with a creek that ran into Gumbramorra swamp, it was transformed into a market garden, and then into an army depot that for sixty turbulent years was a focal point for war, peace and protest. One Small World brings to life the enthusiasm, hope and purpose that have marked Addison Road in all its years. Many people know the Centre today for its vibrant markets, selling street food and organic vegetables. 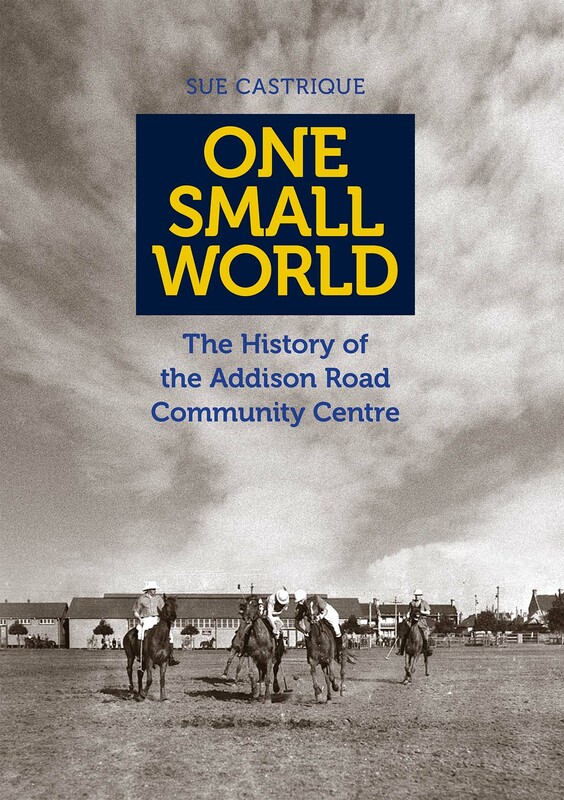 This book reveals how a rich and fascinating history has made the Centre the special place it is today; how one small world has helped shape a community and reflected a changing nation. Sue Castrique is a researcher and writer who works in Marrickville. She is the author of the prize-winning publication, Under the Colony’s Eye: Gentlemen and Convicts on Cockatoo Island, published in 2014. Her essay, ‘On the edge of Gumbramorra swamp’ was runner-up in the Wildcare Nature Writing award in 2016 and forms the first chapter of One Small World. Sue’s book is available for purchase at the ARCCO office in Hut 1 for $30 or by post from museum@addiroad.org.au.